This week Forest delves deeper into the Heisei era of Godzilla, with Godzilla Vs King Ghidorah - the Godzilla flick with time traveling UFO! Cory shares a few too many corny jokes as he revisits a Stephen King classic Children of the Corn. The Horror Duo chat about the lesser known lifestyle of Wonder Woman creator William Marston, Forest takes in a night at the theater with a local production of The Little Shop of Horrors, and Cory shares his excitement for Brian K. Williams Space Babes From Outerspace. For more Slaughter Film news and reviews, as well as show notes and special events, make sure to visit our website; SlaughterFilm.com. 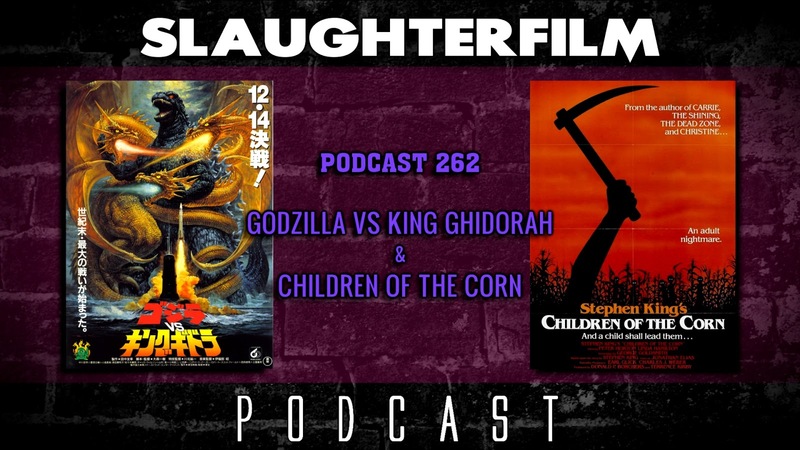 22:12 - "Godzilla Vs King Ghidorah"
35:24 - "Children of the Corn"